Dental disease affects around 50% of cats over the age of 3 years and is often the cause of them being finicky eaters. Have those gnashes checked for free! Free Nurse dental checks are available for your cat – call us on 6652-3455 to organise an appointment. Routine care of your cat should include regular dental checks. Cat owners are encouraged to take a look in their cat’s mouths and inspect their cat’s teeth and gums. Cat’s teeth should be white and free of yellow or brown crust and their gums should be a nice even pink colour. Red or bleeding gums suggest dental disease which is uncomfortable and can be very painful for your cat. Other signs of dental disease include smelly breath, reluctance to eat, recent loss of bodyweight, changes to chewing habits or excessive drooling. What are the signs of dental disease in my cat? 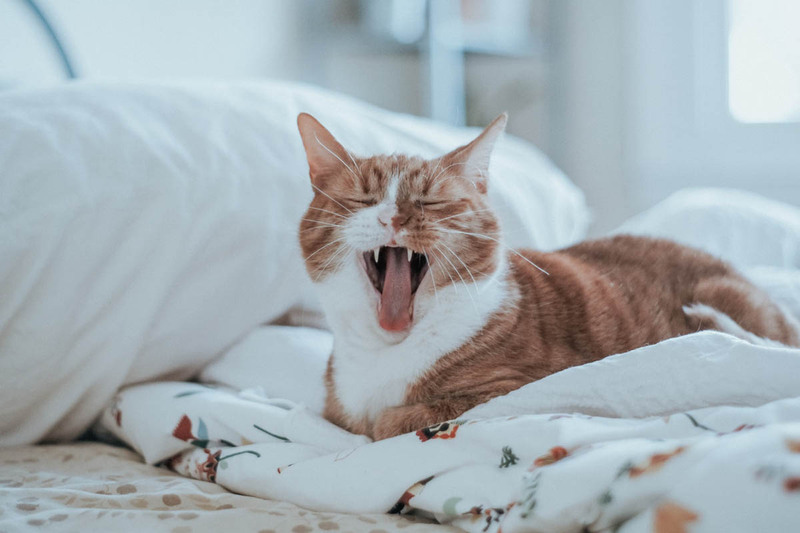 Common signs that your cat may have dental disease include: Bad breath, reluctant to eat or loss of body weight, chewing differently, red or bleeding gums, yellow or brown crust on teeth, excessive drooling. What should I do if I suspect my cat has dental disease? Pacific Vetcare offers FREE nurse dental checks, please contact us on 66523455 or by diagnosis@pacificvetcare.com.au to arrange an appointment with one of our fully trained nurses. How is dental disease resolved? Once your cat has developed dental disease it will require at least a clean, scale and polish to restore a healthy mouth condition. This process is done under a mild anaesthetic by using specific dentistry equipment. Maintaining this condition, and preventing dental disease from reoccurring, can be done by brushing your cat’s teeth, feeding them a specific “oral” care diet like Hills TD.